Shahin Najafi, a musician who uses rap and rock songs to send messages and criticisms about Iranian society, is possibly the most “wanted” Iranian musician with his songs deemed by the authorities to be blasphemous. In 2005, he fled to Germany as a refugee, however that did not change the fact that Shahin is at odds with the Iranian authorities. He puts his life on the line each time he steps on stage, continuing to be a defiant and dedicated artist who refuses to be silenced. With tens of thousands of refugees escaping war and arriving in Europe, he tries to find ways to help, but then Paris falls under terror attack. 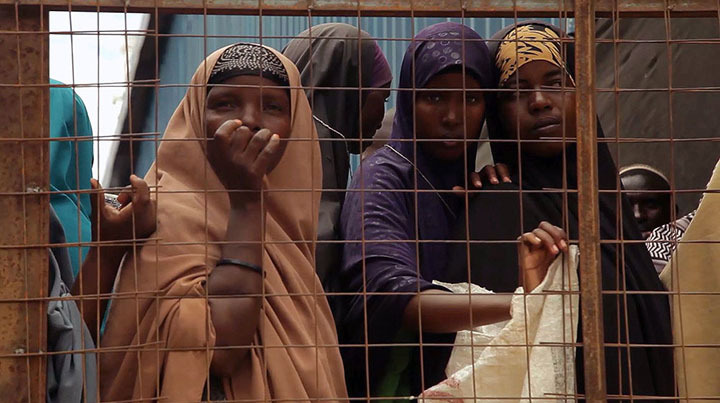 Dadaab refugee camp in Kenya is one of the world’s largest refugee camps hosting Somali refugees facing protracted displacement. 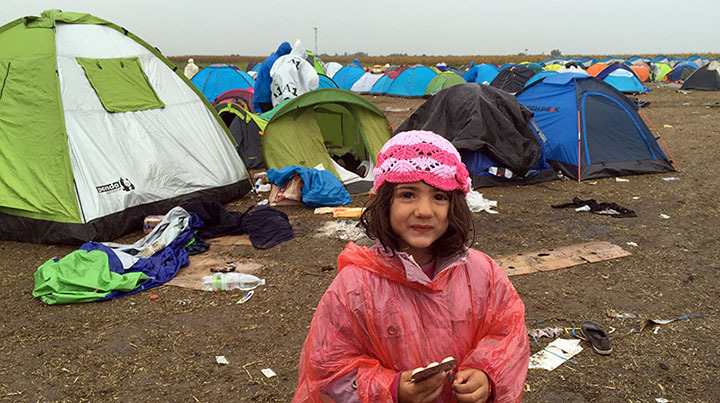 Many study or work, and have aspirations and hopes for the future just like everyone else; however, they spend decades inside the camp, dreaming to be resettled. Warehoused sheds light on the history, and the seemingly insurmountable challenges facing refugees across the globe through an intimate glimpse into daily life at the camp, through the eyes of refugees themselves, aid workers, scholars, and those who have migrated to Africa. A group of refugee youths from war torn Somalia find themselves in Borlänge – a small village in Sweden. 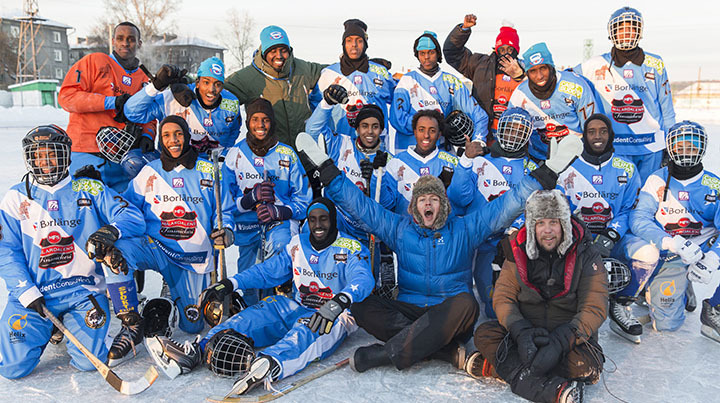 Though facing many challenges in integrating into the community, one day, a local entrepreneur proposes the creation of a first ever Somali ‘bandy’ team –a traditional winter sport played on ice – to build a bridge with the local community. During the course of the training for the World Championship, the youths slowly started to share their horrid experiences, and the sense of utter isolation in a land that was so foreign to them. Will bandy be able to become a bridge between the communities, and provide the youths with hope for the future? Today, the Syrian city of Aleppo is a city where bombs rain down, day and night. 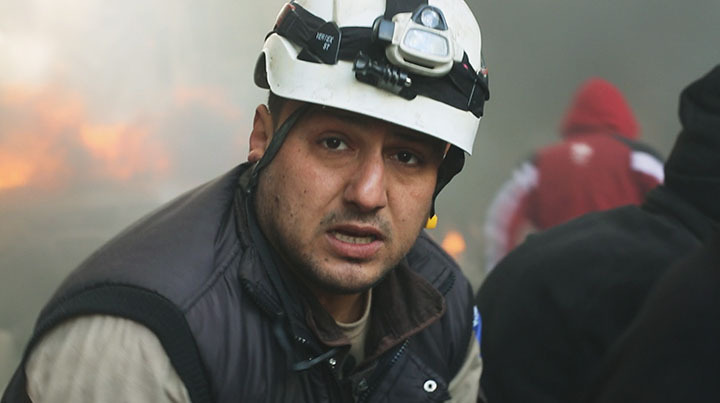 The “White Helmets”, Aleppo’s first responders, rush toward the bombed areas to search through collapsed buildings for the living and dead, while others run away. Although determined to remain in Aleppo to save the lives of innocent people, they too have families who they must protect. 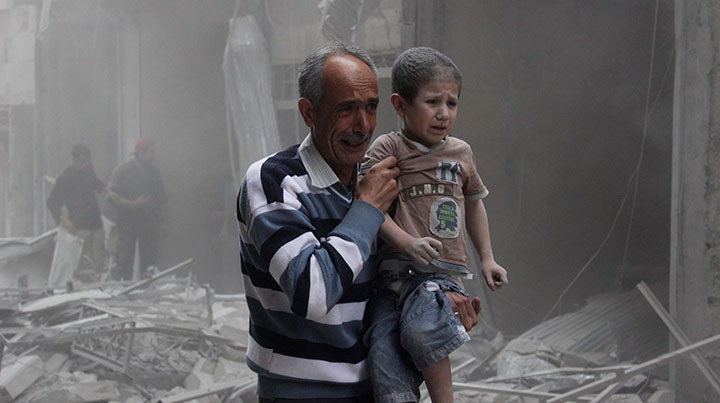 Constantly faced with the dilemma of whether to stay and dedicate themselves to those they vowed to help, or to leave the city in ruins and protect their families, Last Men in Aleppo bears testament to mankind’s capacity for unspeakable atrocity, and an ode to courage and compassion. Khaled, a young Syrian refugee, sought asylum in Finland but was turned down by the courts and is ordered to return to the ruins of Aleppo. Determined to stay in the country, he escapes from detention and disappears into the streets of Helsinki where he faces violence and discrimination. One day, he meets an owner of a restaurant, Wikström, and is given a job at his restaurant. 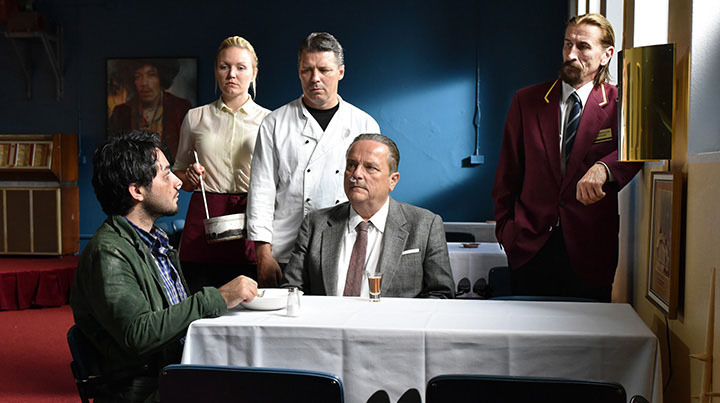 For a moment, life shows us its sunnier side, but all too soon fate intervenes… A second production brought to you by Director Kaurismäki of a uniquely humorous and heart-warming tale in the refugee crisis. The Hartmann family lived in an affluent neighborhood of Munich. One day, mother Angelika, a retired teacher, decides to welcome a Nigerian asylum seeker Diallo into their home despite her husband’s opposition. 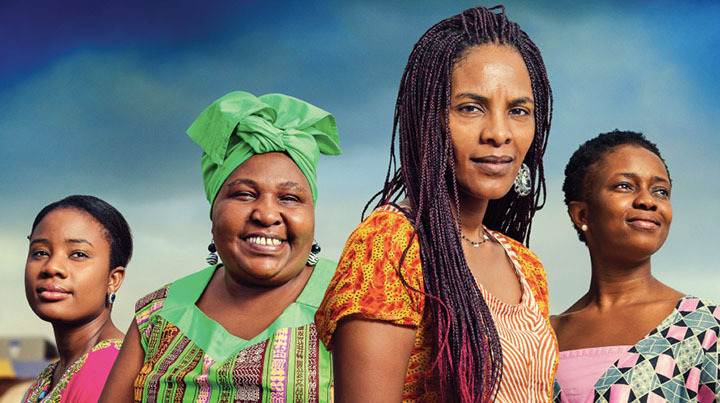 Diallo gets along well with the family, however, they are all put to the test when faced with the realities presented by of xenophobia and suspicion of terror. 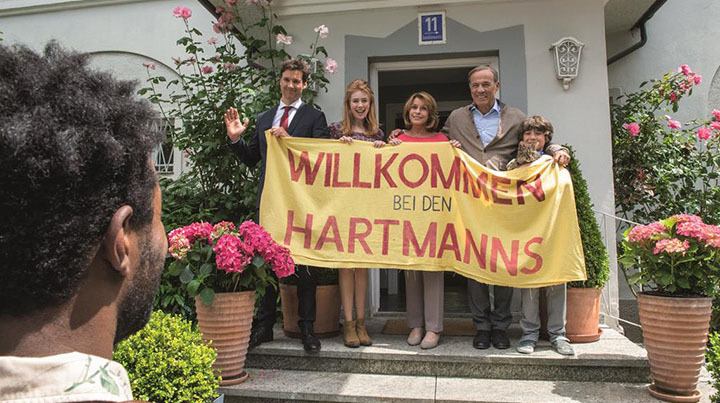 “Welcome to Germany” sheds light on the rapport of refugees and the host communities are trying to build, and the human stories of refugees residing in Germany – a nation, that has been welcoming refugees from around the world. After the U.S. troops withdrew from Iraq in 2011, a male nurse named Nori Sharif was asked to report on the state of his country. 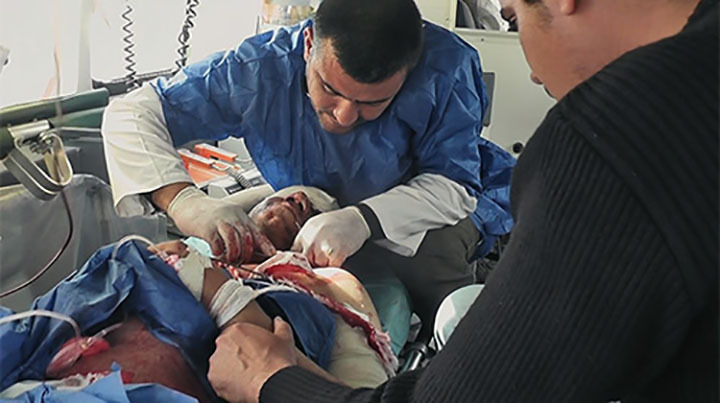 Over the course of five years, he worked in the local hospital in Jalawla where he filmed victims of war in the “Triangle of Death”, one of the most dangerous and inaccessible regions of Iraq. Sharif continues to film despite increasing dangers, until 2014 when ISIS advances on Jalawla, finally taking over the city. The hospital is no longer a safe place. He too must flee at a moment’s notice, to bring himself and his family to safety. After making the perilous journey to Hungary as a refugee from his home country in Africa, Wilson works as a security guard in a shopping center, all the while studying for the exam for acquiring Hungarian citizenship. Though he finds love with his tutor Mari who devotedly supported him through this time, one day, he is found sheltering another woman in his house. Despaired and heartbroken, he receives the result of his exam and is faced with a tough decision in the quest of becoming a model citizen.